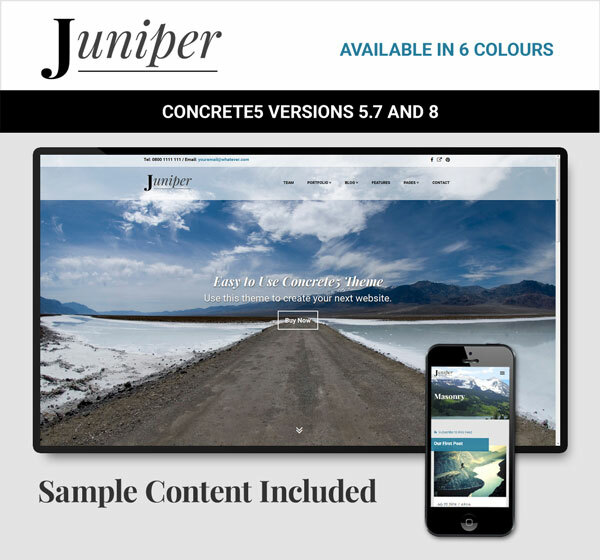 Juniper is a flexible Bootstrap theme featuring a top menu with transparency, and optional areas for your content. The theme includes sample content, custom blocks and templates, colour customisation options and documentation. Includes Wow animations. You can use Wow.js animations with this theme without purchasing a licence. NEW PAGE TEMPLATES - use Home V2, Full V2, Right Sidebar V2 or Left Sidebar V2 if you would like to use a slider instead of a banner image.